Bingo is a great social game which requires perceptiveness and a quick reaction time mixed with a little bit of luck. Can you find the right mix to be successful? This game is intended for use by adult audience for amusement purposes only. 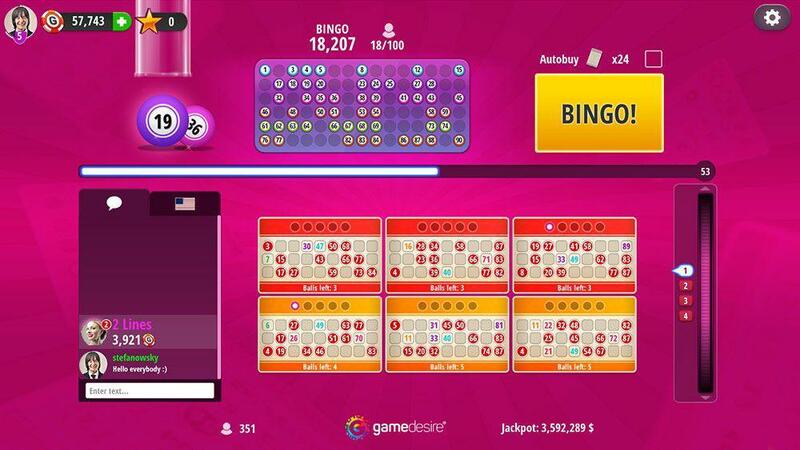 Bingo does not offer real money gambling, opportunity to win real money or anything of value. Practice or success at social gaming does not imply future success at real money gambling. 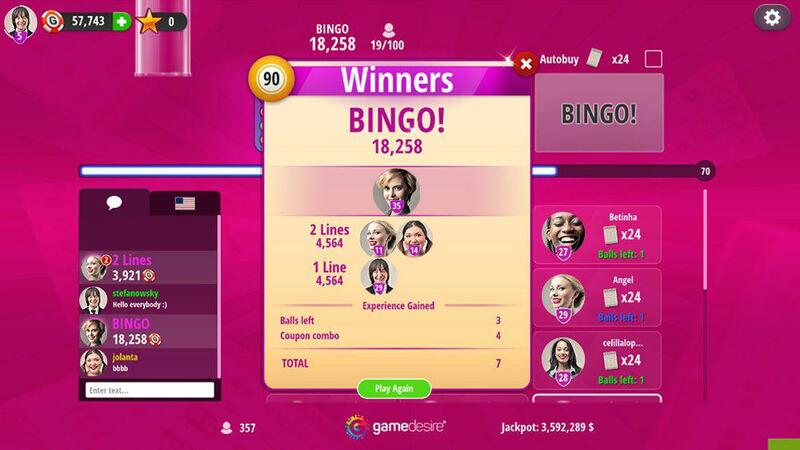 Have you always wanted to try Bingo but never had the chance? Your wait is over. 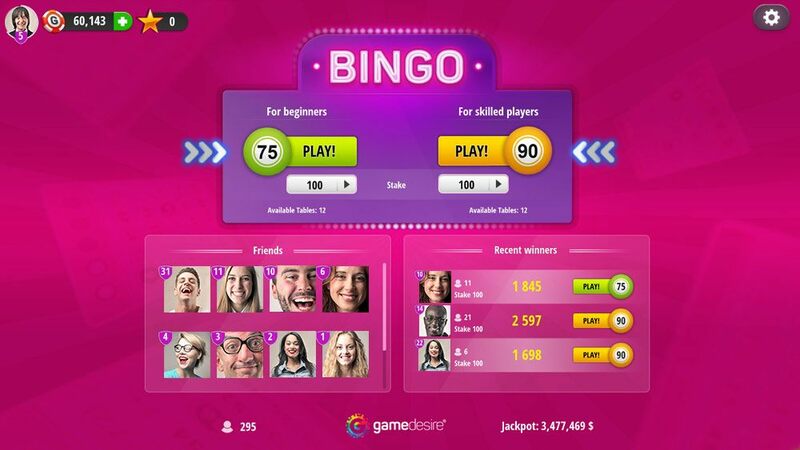 Bingo is a social game and our platform allows you to chat and make friends with thousands of players worldwide! Come on and shout it with us: BINGO! After entering the table, please buy your coupons using the button in the lower right part of the window. The more coupons you buy, the greater chance to win. 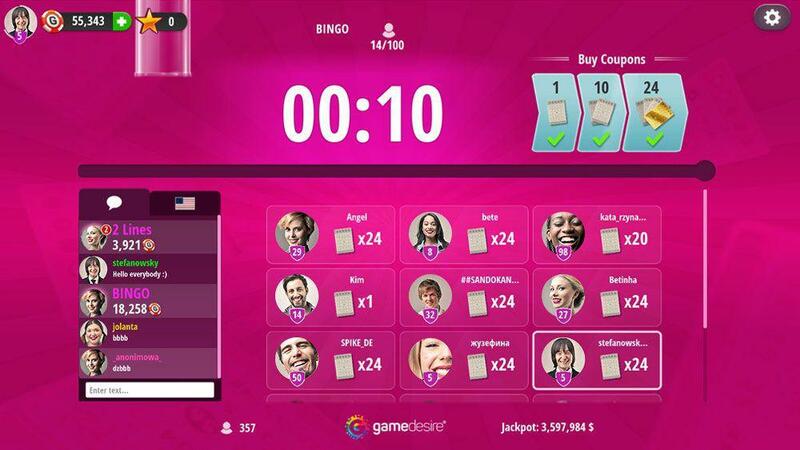 The first player with completely filled coupon should instantly press "Bingo", informing other players about winning the prize. Coupons are sorted automatically by the number of balls left to complete the pattern.